The Internet Privacy Engineering Network (IPEN) was launched in 2014. It is a practical initiative encouraging the development of methodologies and tools which can effectively foster privacy-enhancing technologies or PETs. It supports the creation of engineer groups working on (re)-usable building blocks, design patterns and other tools for selected internet use cases where privacy is at stake. IPEN welcomes participants from different areas such as data protection authorities, academia, open source and business development and other individuals who are committed to finding engineering solutions to privacy challenges. The objective of the work should be to integrate data protection and privacy into all phases of the development process, from the requirements phase to production, as it is most appropriate for the development model and the application environment. It supports networking between engineer groups and existing initiatives for engineering privacy into the internet. This network facilitates exchange in order to coordinate work and avoid duplication, in addition to discussing which privacy oriented use cases should be addressed with priority. 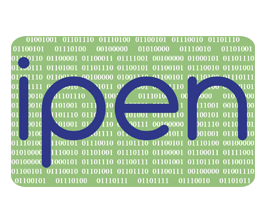 IPEN is building a repository of relevant resources, making its findings and knowledge base accessible to all participants, developers and privacy experts. A core group takes care of collection and distribution of information, liaises with other relevant initiatives, facilitates the dialogue on engineering solutions, and organises online and offline events. In the September 2017 edition of the EDPS Newsletter we cover the EDPS Opinion on the digital single gateway, the investigation of complaints relating to medical data and the latest developments in privacy engineering. Digital Festival 2016 takes place at The Egg in Brussels on 21 June 2016. This festival of ideas provides an opportunity to challenge and better understand the impact and potential of digital technologies. As part of the festival, the EDPS has organised a workshop entitled Data Protection by Design: Privacy as an engineering principle. As people become increasingly aware of the threat of mass surveillance, the demand for more privacy friendly technologies is increasing. In the EU, data protection by design and by default will soon become a legal obligation, under the new data protection rules to be applied by May 2018. The workshop will address the different approaches to privacy engineering, the current challenges faced and initiatives, such as the Internet Privacy Engineering Network (IPEN), which aim to overcome these challenges. The workshop takes place from 2.45pm-4pm and will be moderated by EDPS IT specialist Achim Klabunde. Confirmed speakers include Aurelie Pols, Estelle Masse, Jetzabel Serna and Aristotelis Tzafalias. To attend, please register online for the Digital Festival. The registration process is closed. If you are interested in joining the IPEN mailing list, please subscribe here or send an email to ipen@edps.europa.eu, to which you can also submit any comments or questions. We look forward to collaborating with you. “How can we develop internet structure, services and apps which respect user privacy and personal data?” This question was at the core of today’s meeting of privacy experts and developers from industry, academia and free software in Berlin. The first workshop of the Internet Privacy Engineering Network (IPEN) was an important step in building a community which works on developing engineering solutions to effectively protect and enhance privacy on the internet.